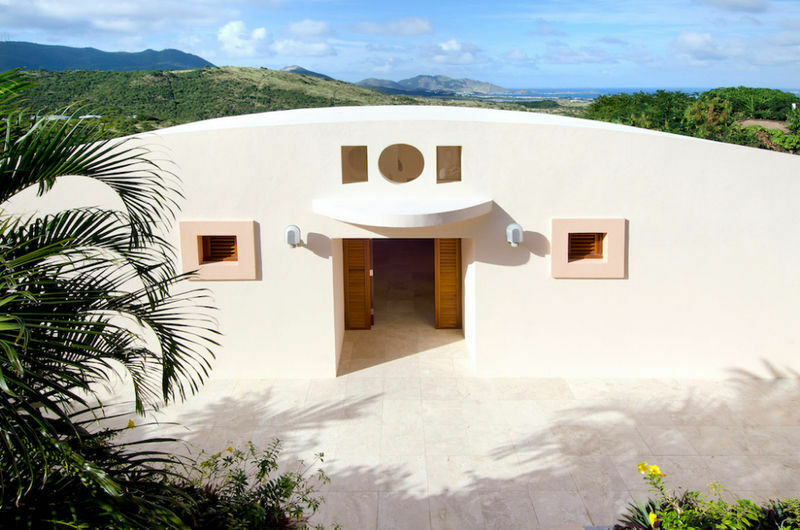 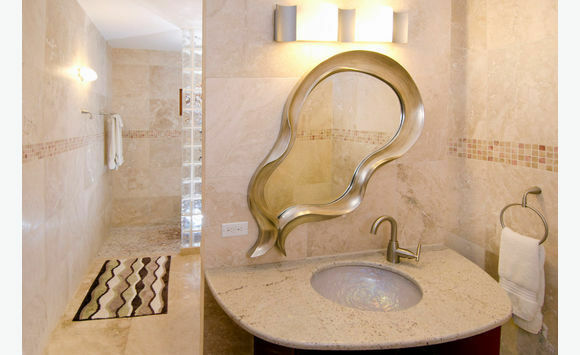 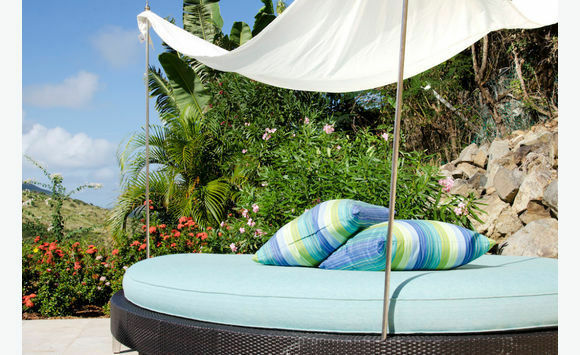 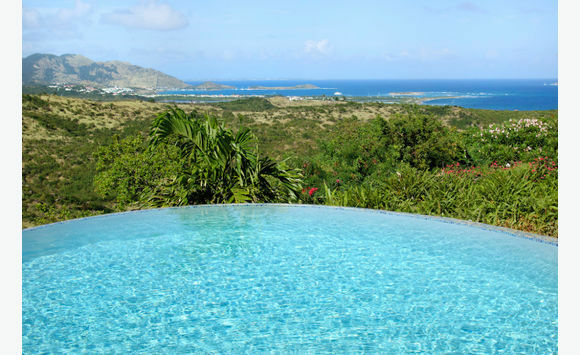 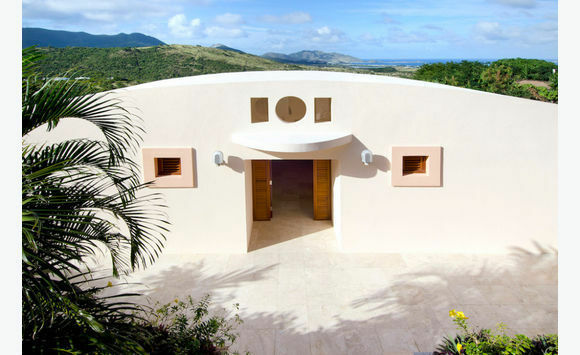 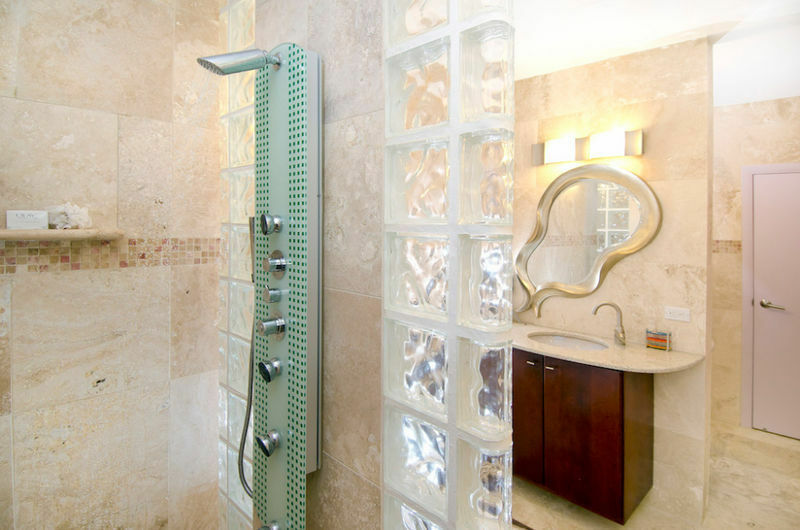 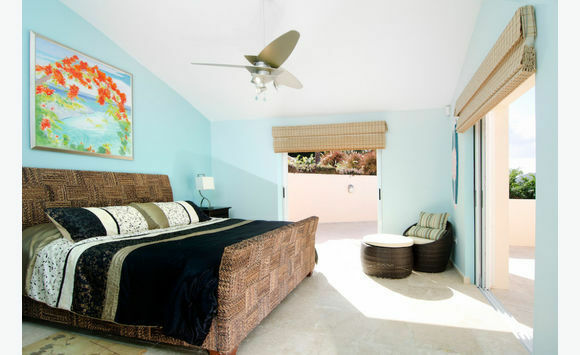 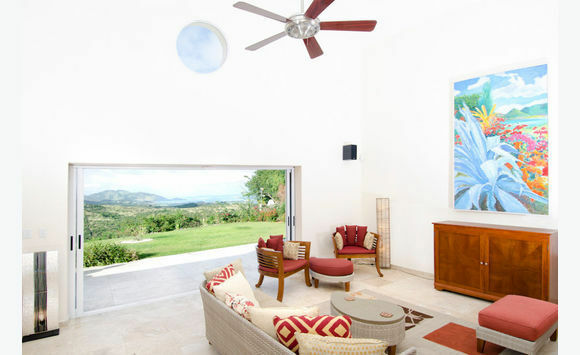 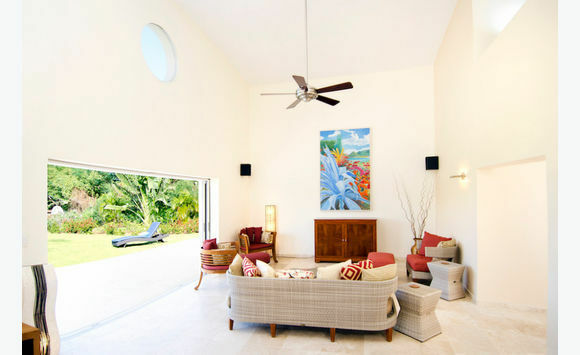 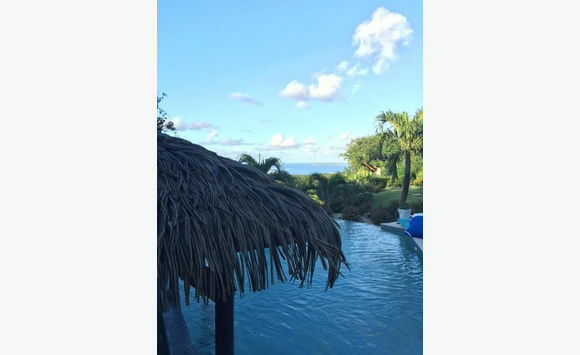 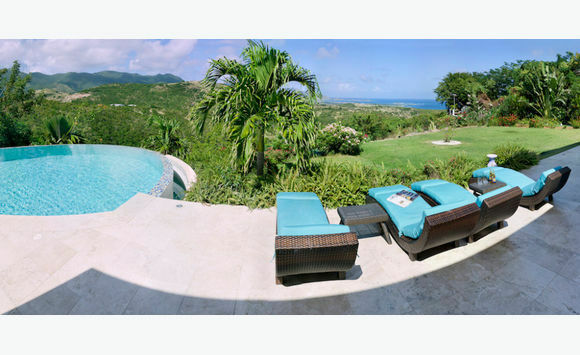 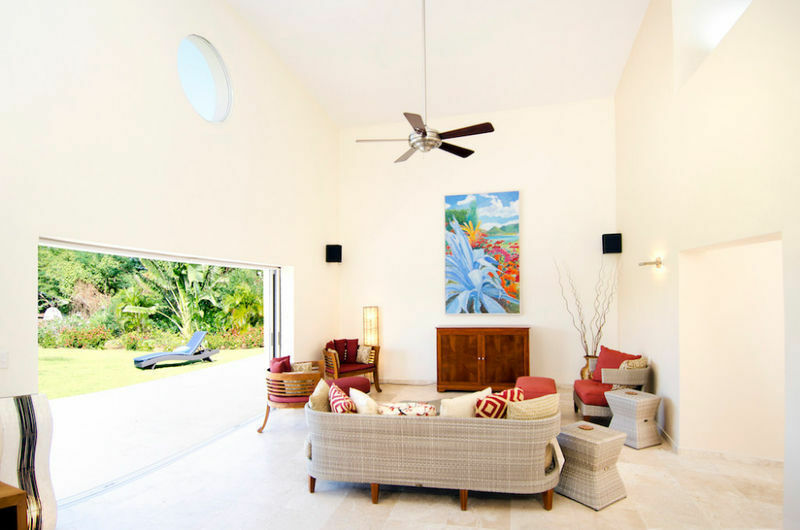 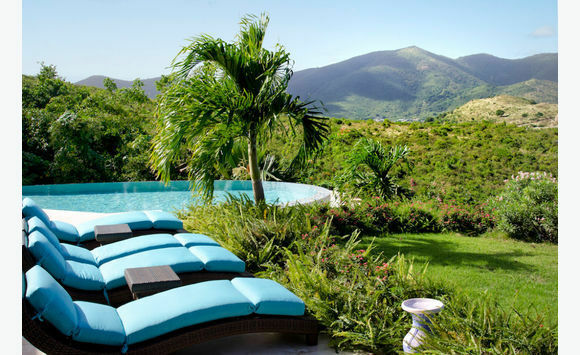 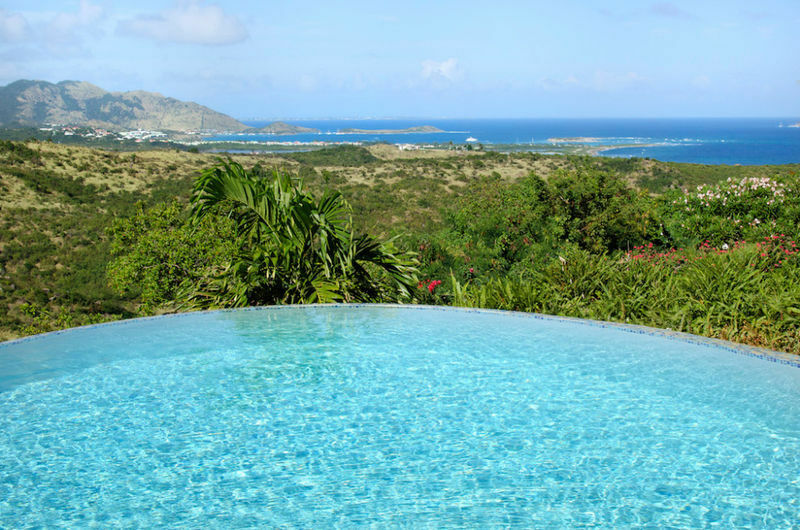 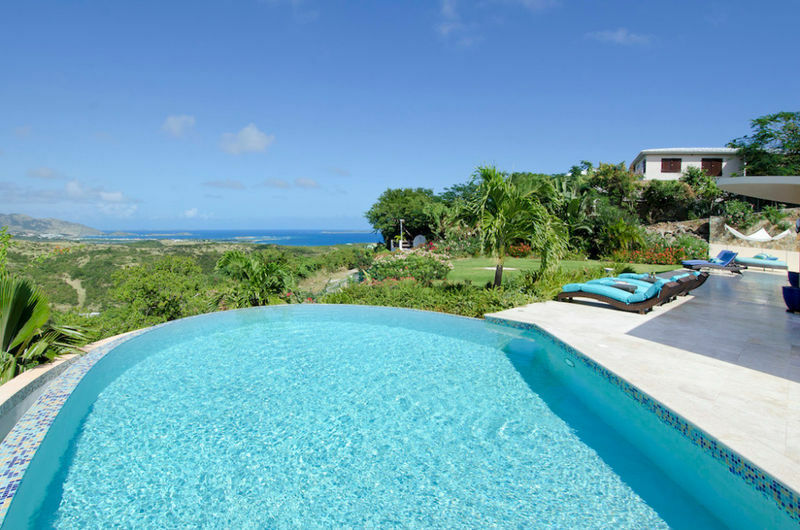 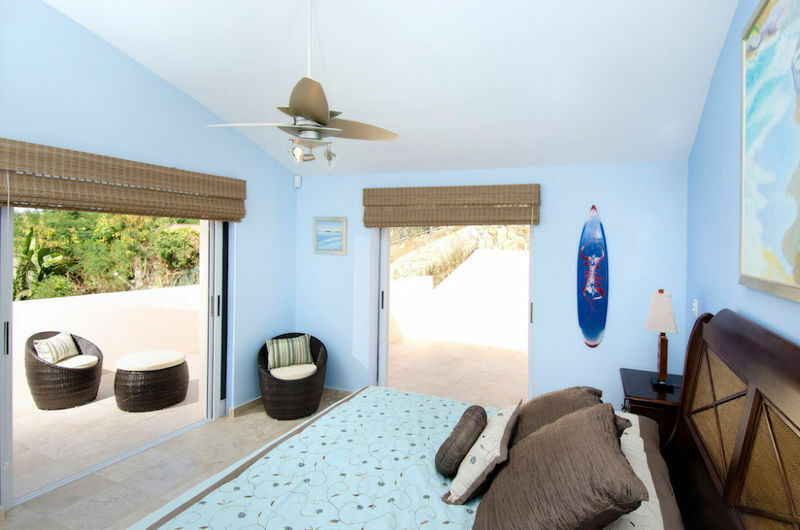 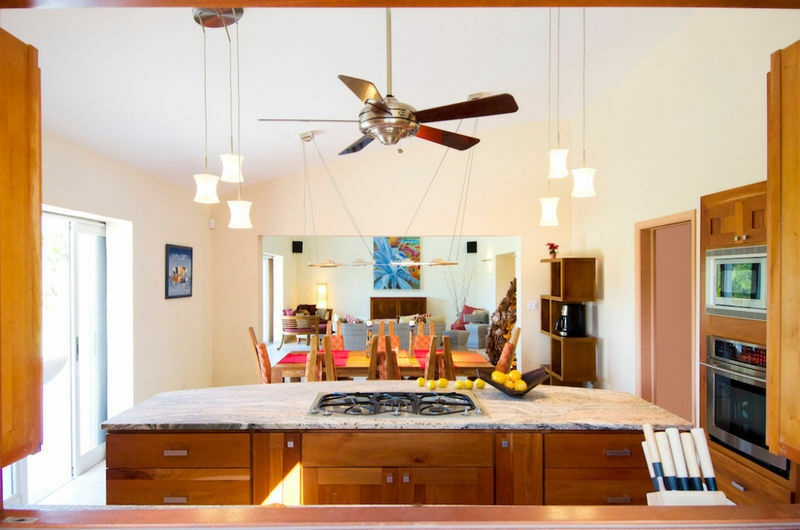 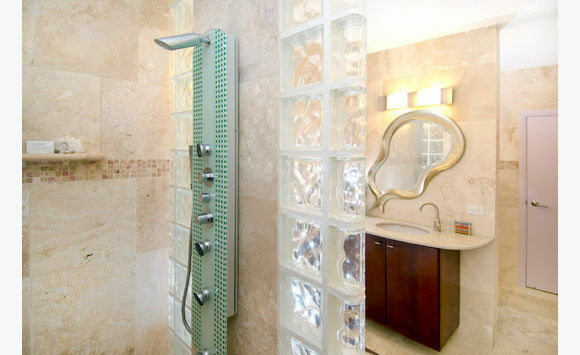 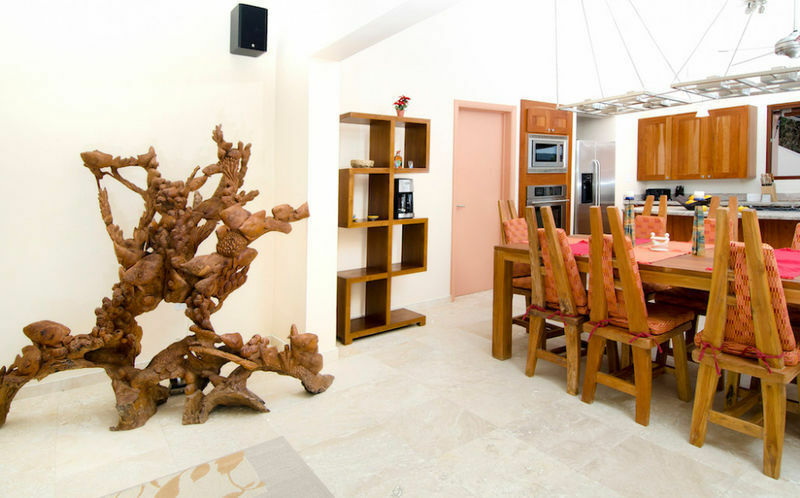 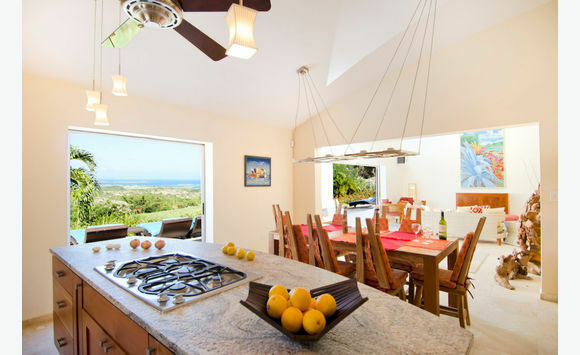 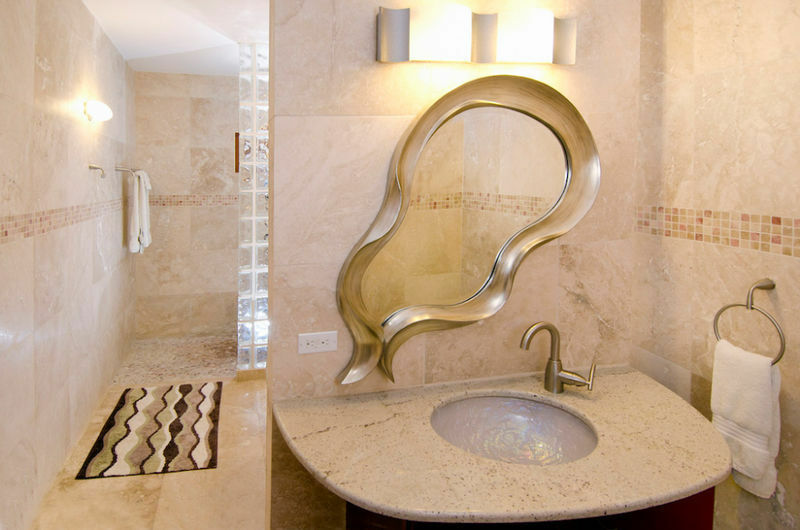 On Island Time is a wonderful stylish, modern villa located in the gated community of the Oyster Pond Hillside. 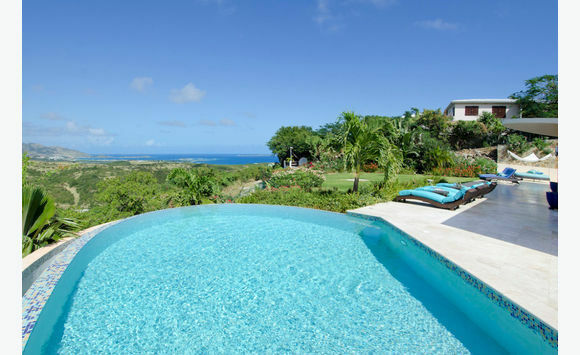 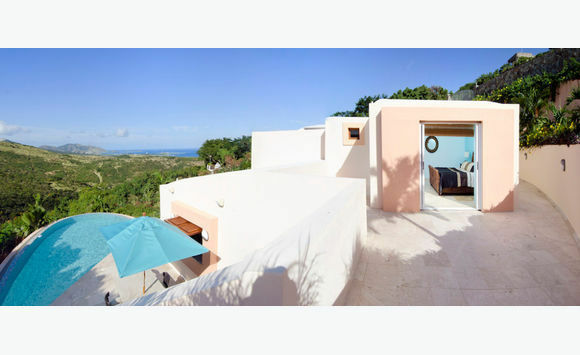 The villa is very unique in its architecture and boasts stunning views of the ocean with a wide view of 4 islands, the surrounding hillsides and Orient Bay. 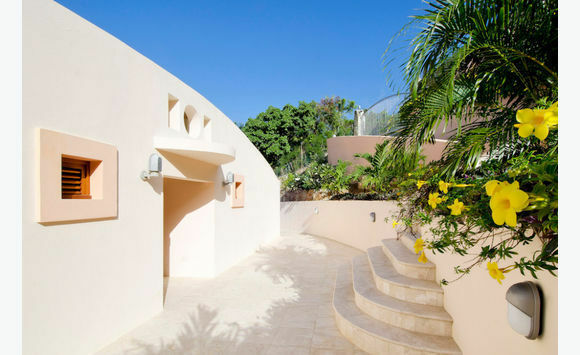 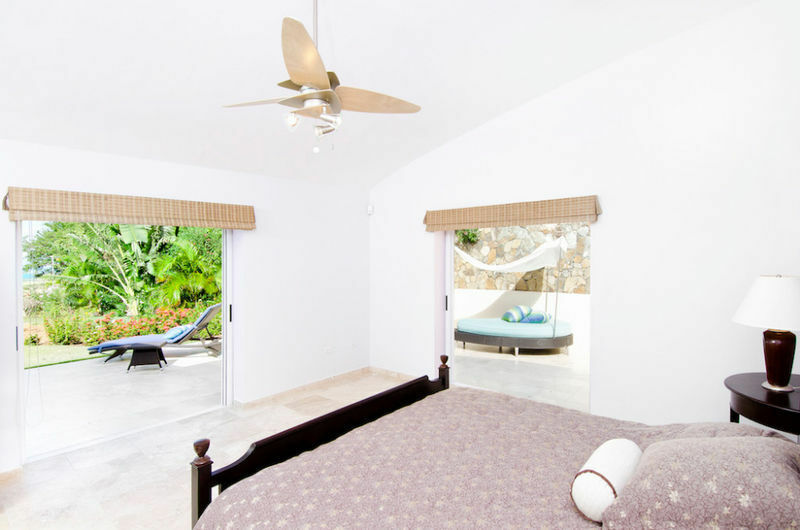 The villa is set on two levels…The villa is designed with the space, rooms, balconies and outside terrace area with private pool flowing together to create a comfortable living space for your enjoyment. 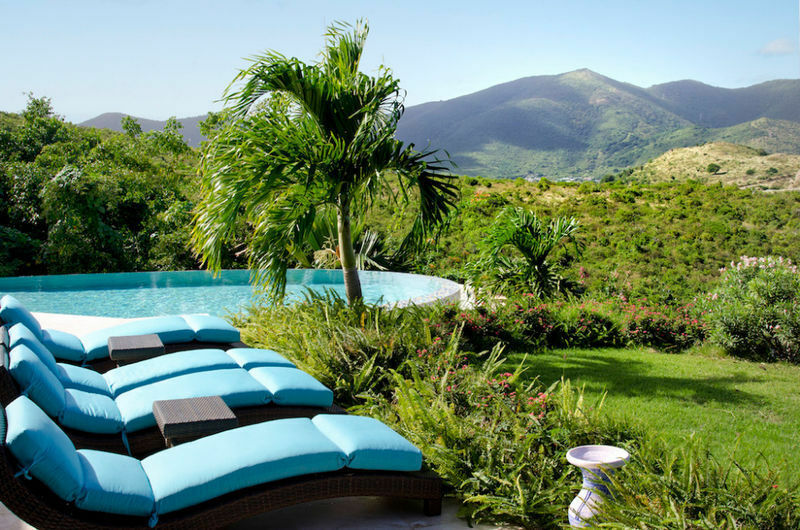 The garden around the villa is lovely with lush foliage that adds to the views. 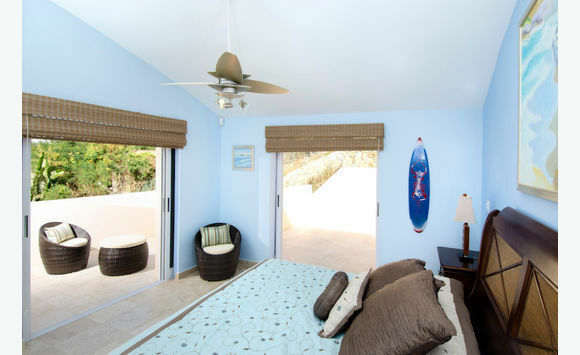 The entrance level offers 2 guest bedrooms, each tastefully furnished with a king bed, 32″ LCD TV offering Cable TV, air conditioning, ceiling fan, safe, private terrace and en-suite bathroom with shower and single bowl sink. 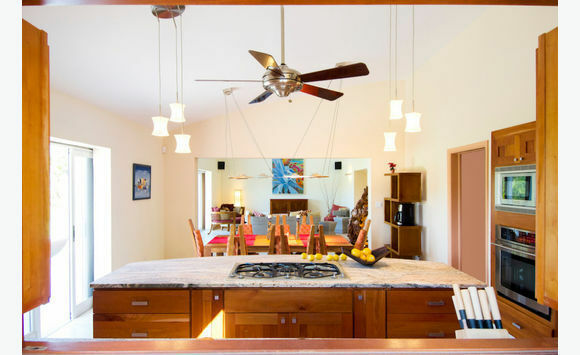 In addition, there is a powder room (1/2 bathroom) and the laundry area with washer/dryer, iron and ironing board. 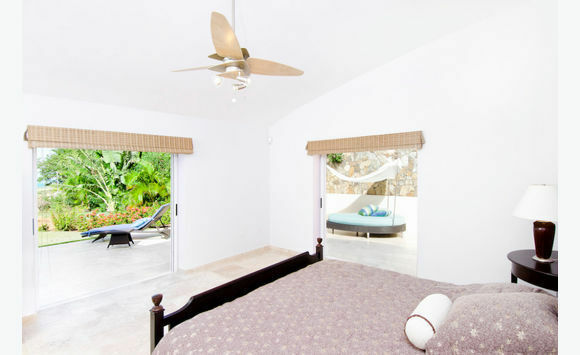 From the private terrace of each bedroom, there is direct access to the lower terrace/pool area via the outside staircase. 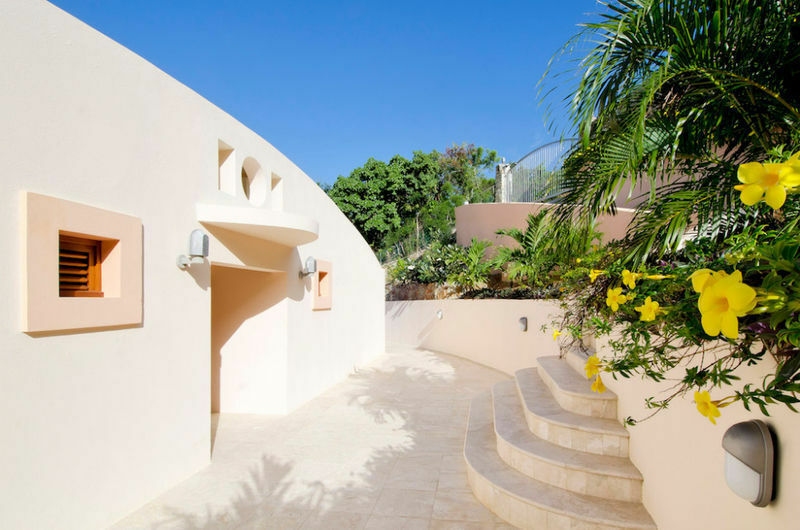 The lower level which is the main level of the villa, offers spacious living and dining areas, the open kitchen area, master bedroom and pool/terrace area. 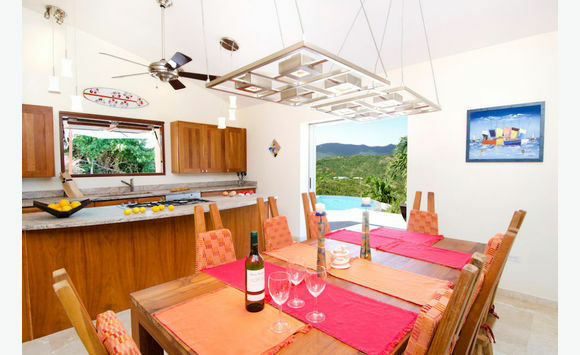 The living room and dining area is exquisitely furnished, done in a combination of rattan, hardwood and modern lighting creating a unique mix of modern and Caribbean which flows harmoniously in this modern villa. 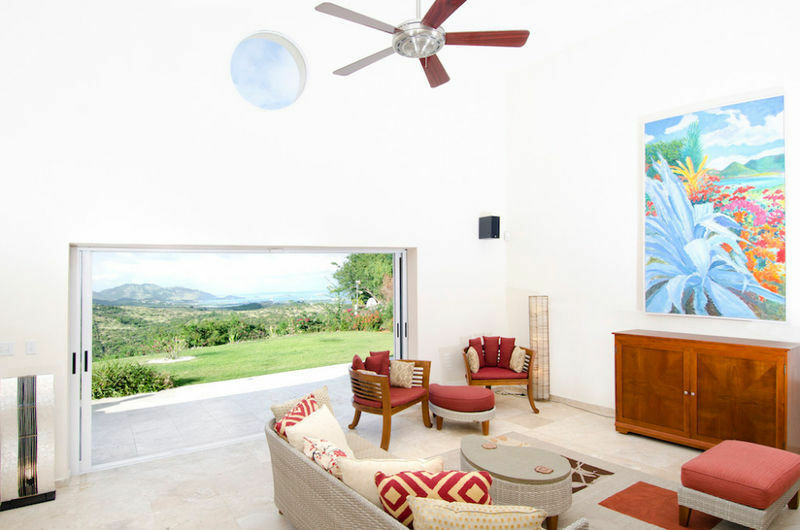 The entertainment area in the living room has a flat screen 42” television with Cable TV, DVD player, stereo system with surround sound system (inside & outside by the pool area) and IPod Dock. 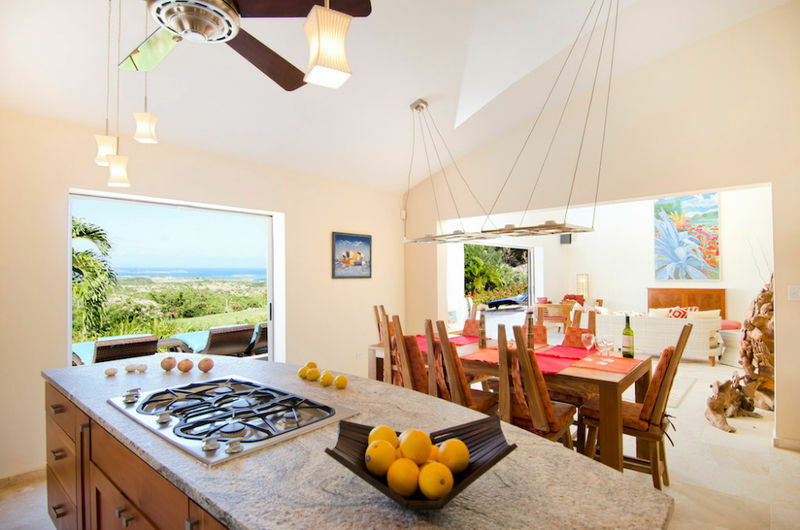 The immaculate kitchen with granite counter tops is fully equipped offering modern deluxe stainless steel appliances for your cooking pleasure. 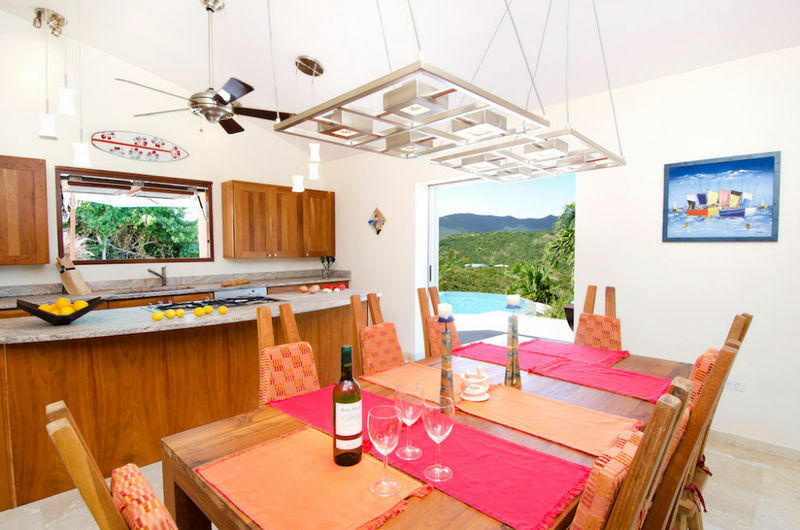 From the kitchen, there is a pass through bar to the outside terrace/pool area. 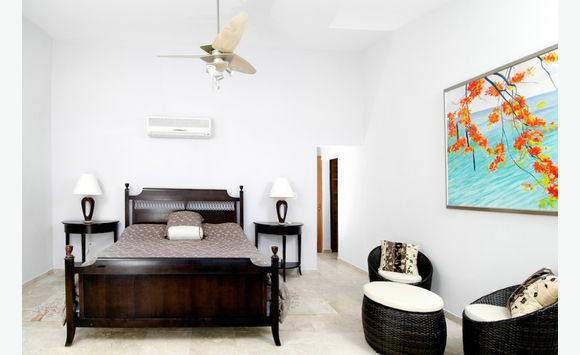 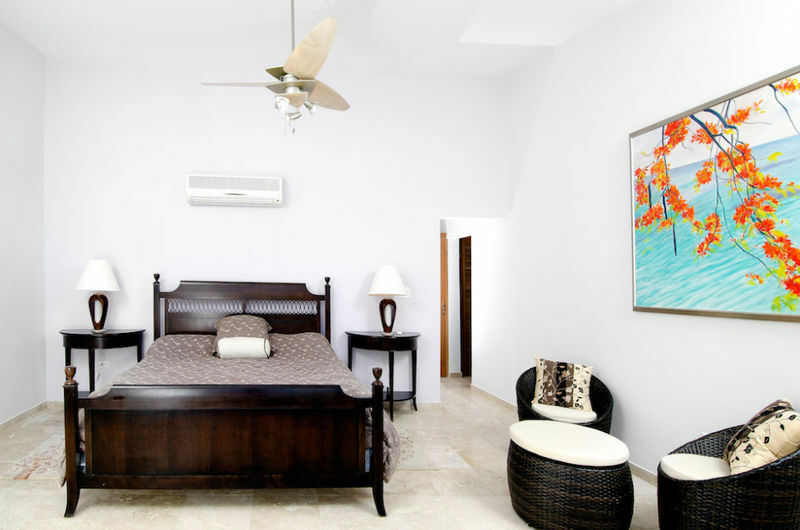 The Master Bedroom is elegantly furnished and offers a king bed, 32″ LCD TV offering Cable TV, air conditioning, ceiling fan, safe and en-suite bathroom with shower and double sinks. 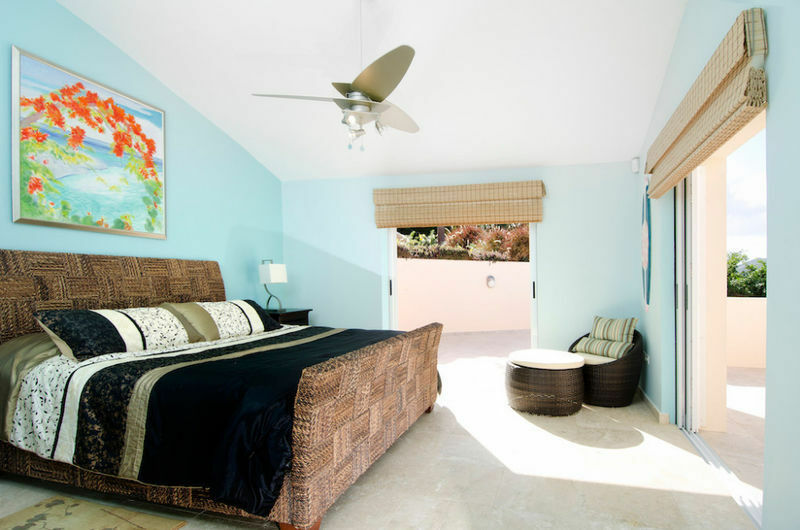 This bedroom opens right onto the pool/terrace area. 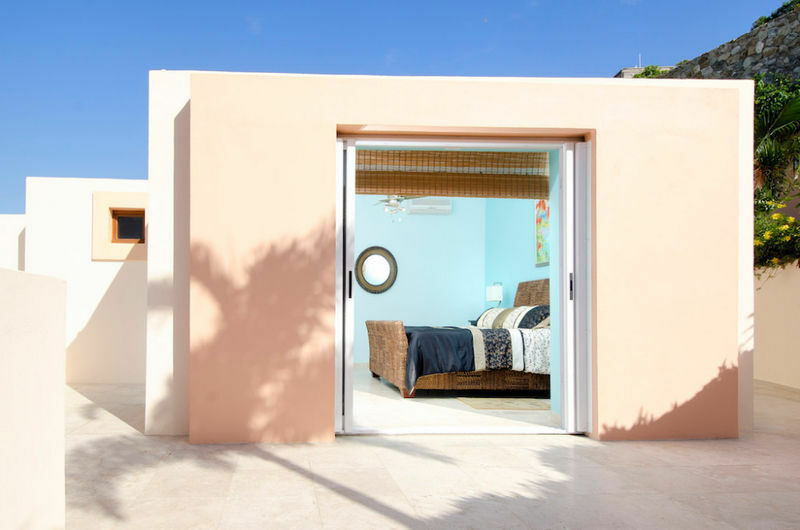 Large sliding glass doors open onto an outdoor pool/terrace area on the main level where you may enjoy the wonderful views and gentle trade winds. 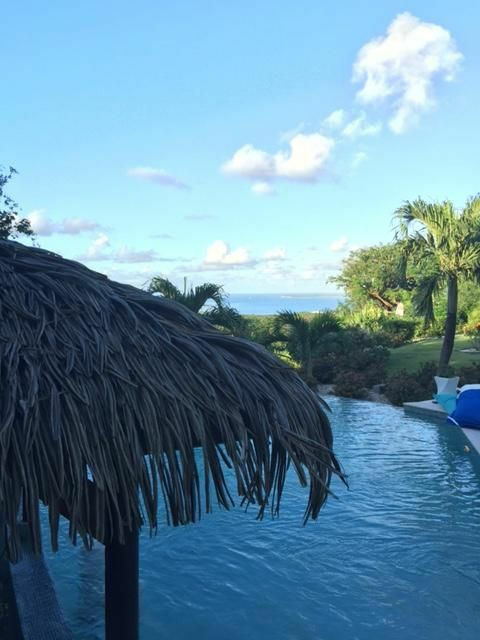 The generous infinity pool boasts a wide view of 4 islands as you float on the plush raft or swim up to the tiki bar and enjoy the serenity of the breeze whispering through the palms. 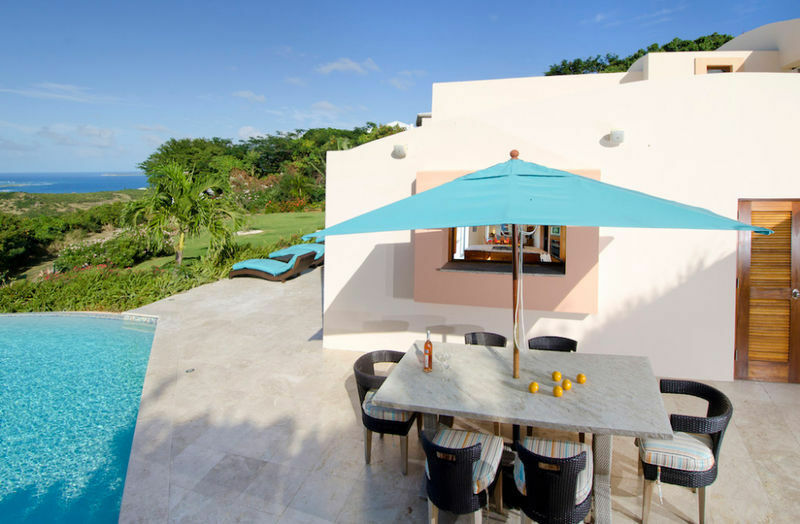 The pool is surrounded by a spacious terrace area offering comfortable lounge chairs for sunbathing, an outdoor dining area with seating for 10 and gas BBQ grill. In addition, there is an outdoor ½ bathroom for use while by the pool. 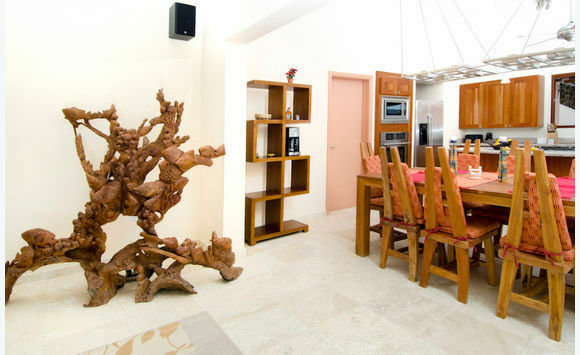 At “On Island Time”, you will be on island time and have a truly memorable experience…Enjoy the spectacular sunrise…take in the panoramic views while sipping a cocktail on the spacious terrace…have a bar-b-que under the stars…prepare a gourmet meal….take a dip in the pool while overlooking the scenic setting…laze around and read a good book or go down to Dawn Beach, one of the best snorkeling beaches on the island. 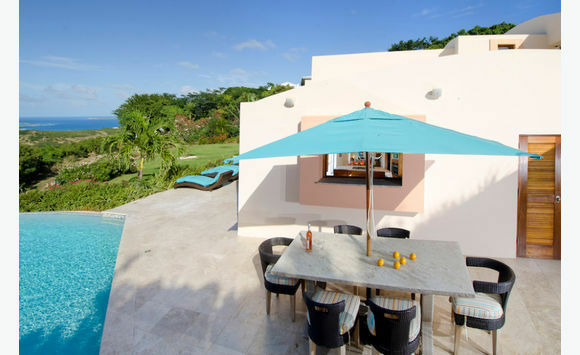 Come and experience this unique and lovely villa where you can experience being “On Island Time”!